How CPLA regulations were formed and applied? Payday loans have allowed people to get access to instant cash from the comfort of their home. They can click online and visit various lenders giving payday loans online at very high rates. Looking at the increase in payday borrowing and high interest rates charged by various lenders, government and legislation of different provinces in Canada have passed their laws and rules that have to be followed by all the lenders whether online or having physical existence. If you are a Canadian resident then it is mandatory for you to understand the laws that a lender must follow and what rights you enjoy so that you can quickly report to government in case of extra fee or hidden cost demanded from you. The regulations of Canadian payday loan association were not just enacted at once. Looking the history of the payday loan industry and enacting of payday loan regulation one can understand the thought process that went into creating them. The payday loan association also released a study by Young and Earnest highlighting the costs of offering short term and small sum loans. Later in year 2005, the association released another comprehensive study by Environics in which several myths relating to payday loan industry were busted and it also gave out the major reasons for which people seek out such short term loans. Here is a brief history of how government is regulation the high interest charging payday loan industry. In year 1995, the very first payday loan storefront was started in Canada whose number grew to 1350 outlets by 2006. Later in 2000, the consumer measures committee consisting of federal government representatives and each of the provincial government started to consult and review on how payday loan industry was regulated. In year 2004, majority of the payday industry creates a CPLA (Canadian Payday Loan Association) with a permission to work with government for industry regulation that offers consumer protection along with a workable industry. The Canadian payday loan association then introduced a code of best business practices that were to be followed by all the member of the payday association. After this study a strict new code of best business practices were launched by CPLA that was recognized quickly by the governments and critics as one of the hardest voluntary code of best business practices for payday loan lenders out anywhere in the world. Members who actually started the Canadian payday loan association choose to leave it after this stringent application of code of practices. The CPLA also highlights to governments that by enshrining the principles of CPLA’s best codes in a new regulation of payday industry is the only way to protect the customers. Irwin Cotler, a former Liberal Justice Minister announced that 347 section of the criminal code must not apply in regards to payday loan and a regulation introduced by liberal government will introduce legislation to provide provinces with an authority to regulate the payday loan industry. The opposition NDP and conservative parties agree with the principles of altering the criminal code and permitting the provinces to regulate the payday loan industry. The former liberal government plans legislation but schedules for an election a week prior to its introduction. In year 2006, January to September The provinces of Alberta, Saskatchewan, British Columbia, Manitoba, Nova Scotia and New Brun swick all point out their interest in modifying the loan industry. In October, 2006 Bill C-26 is introduced in the House of Commons by the new Conservative government of Canada. In December, 2006 Bill C 26 is approved by the House of Commons committee. In February, 2007 Bill C-26 is sent to the senate by the House of Commons. In March, 2007 The Senate Banking, Trade and Commerce Committee organizes 3 day hearings on the bill In April, 2007 The Senate Banking, Trade and Commerce Committee grant the bill and the Senate also gives its consent for bill in the 3rd Reading on April 25, 2007. Looking at the history of the payday loan regulation and how various committees, government and legislation have worked, considered and reviewed payday loans helps us understand why consumers enjoy variety of rights with payday lenders. One must understand that this industry on one hand is created to help people in difficult times but on the other hand the high rates of interest associated with these loans and short term for repayment can actually worsen their present situation. The payday association of Canada is committed towards with each of the province to make sure that strict regulations help in offering consumer protection with a viable loan industry. 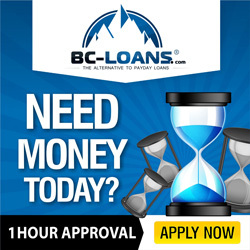 Also the BC government has introduced new regulations for payday loans to financially protect the vulnerable people from violent lending practices. Government of various provinces has enacted a maximum rate of borrowing in their state. Lender has to be licensed before they start any kind of payday lending business. None of the lender can charge extra fee from the customer other than what is listed in the contracted and allowed by the government. The government also demands the consumers to educate themselves of the laws governing their province so that they can report an abusive lender to them. A lender needs to renew his license every year by paying fees associated with it. Any defaulter will be penalized strictly. Also the lenders are bound to display their license in their store where it is clearly visible to the customer and they must also display the rate of interest charge by them clearly. No access to customers banking account should be granted and they should not follow any payday loan collection process that will harass or humiliate the consumer. A lender cannot contact consumer organization or his boss regarding the repayment of his loan and he must not grant a second payday loan to the same customer unless he has paid his original loan in completion. These rights are to provide full protection to consumers in relation to payday loans and being a consumer one must learn how to make use of these rights when borrowing payday loans.